Californian Active Hard Rock favourites Trapt return down under to Play Highlights from their self-titled classic album 'Trapt' including Headstrong, Echo, Still Frame, These Walls, Made of Glass Plus they will perform a selection of their other Hits including Bring It, It's Over, Who's Going Home With You Tonight? and Contagious. Formed in 1997 Trapt and have sold over 2.5 million records worldwide. It was their eponymous major-label debut, the self-titled 'Trapt' album that really got things going for them. The album was a perfect mix of hard rock with catchy hooks and dynamic choruses and plenty of songs that still remain etched in your mind today. 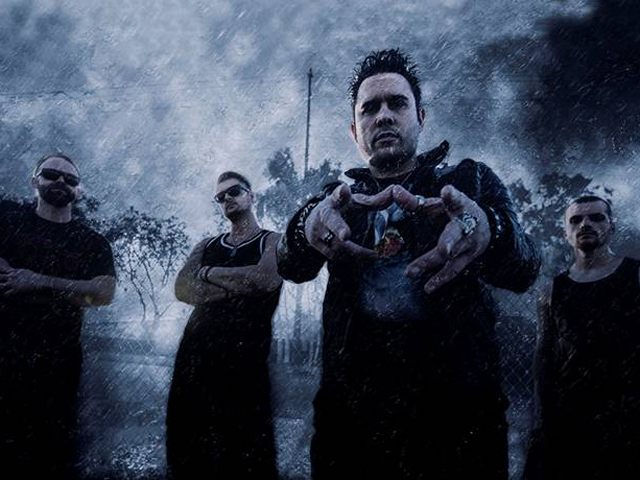 Fusing together propulsive guitars and unforgettable upbeat refrains, TRAPT are adept at producing empowering anthems that you could easily hear this piping through an arena with a rallying power. In 2002 Headstrong off their self-titled debut was ranked the #1 alternative song and #8 rock song by Billboard. They were a featured act on Rock Band and Tap Tap Revenge 2, and they also fuelled countless WWE specials. In addition, they've shared the stage with heavy hitters such as Mötley Crüe, Nickelback, Hinder, Chevelle, and many more. "Everything is new again. It's an incredible feeling. Our fans have stuck with us since the beginning. If the music makes them feel empowered and ready to take on their challenges, then we've done something right. I hope it inspires confidence and pushes them to stand up against fear or judgment. We're proof that you should never give up."